Vongfong: Pressure 920 mb...winds 135 knts. Cyclone Hudhud intensifies further and latest images show estimated core pressure at 982 mb at 14N and 88.5E and winds calculated at 55-60 knts, 100 - 110 kmph. Severe now, it has shown wave surges at 16 feet. Moving at 7 knots per hour in a W/NW direction now, would expect current track till Friday. There is a possibility of Hudhud tracking more towards NW..at least along the upper yellow line limit shown in this CIMSS colour Image. Vongfong, the King, shows an estimated core pressure of 900 mb !! 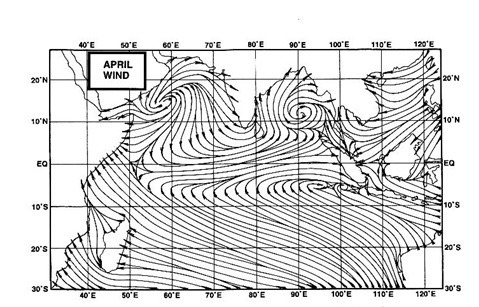 and with 50-55 feet waves, core winds are a devastating 145 knts, 270 kmph!! I want to know the reason why CENTRAL & SOUTH CENTRAL & WEST CENTRAL TAMILNADU affected by last 3 years continous NWM rainfall deficiency and total failure? Your blog is very well giving good weather analysis..
Monsoon withdrawal is determined by the meteorological parameters set by IMD. When reached and seen, these parameters will be considered..and Monsoon is withdrawn from a region. Accordingly, was withdrawn from Mumbai on 5th. As yet, cyclone will have no effect o Mumbai City. Interior Mah can be effected. Kesava rajan: yes, NEM was very poor. Shall see details and write a report. But basic parameters as described in NEM , for NEM were surely deficient in the NEM region..